FURINNO under sink shelf is multipurpose storage organizer featuring the adjustable and extendable functions that allows shelf to fit under the sink pipes based on your needs. 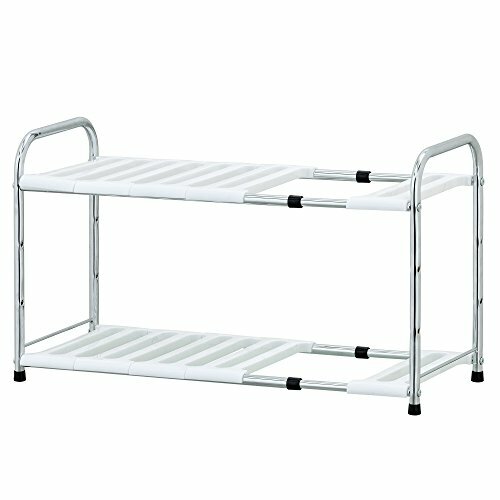 The chrome plated shelf is sturdy, durable and space Saving. It is easy to assemble and move around. A simple attitude towards lifestyle is reflected directly on the design of FURINNO furniture, creating a trend of simply nature. Care instructions: wipe clean with clean damped cloth. Pictures are for illustration purposes only. All decor items are not included in this offer.